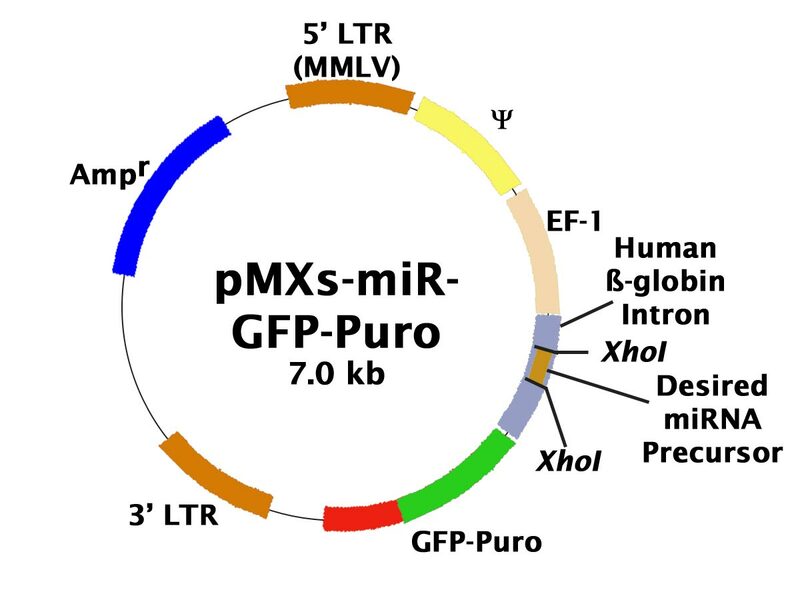 pMXs-miR-GFP/Puro Retroviral Expression Vector | Cell Biolabs, Inc.
Ribecco-Lutkiewicz, M. et al. (2016). MicroRNA expression in amniotic fluid cells. Fetal Stem Cells in Regenerative Medicine. doi:10.1007/978-1-4939-3483-6_11. Mansour, M. et al. (2013). The TAL1 Complex Targets the FBXW7 Tumor Suppressor by Activating miR-223 in Human T Cell Acute Lymphoblastic Leukemia. J. Exp. Med. 210:1545-1557 (#RTV-017).